Under our Transport Licence, Ski Blanc operate shared 8 seater minibus transfers from Geneva & Chambery Airport & Moutiers Train Station. We have many transfer partners we work closely with, and can outsource transfers if we don't have availability and can also arrange from Grenoble & Lyon airport, please let me know your travel plans and I can send you the best priced quote. I would suggest booking your flights around their Transfer Schedule. To Book: Click this link for the shared transfer schedule. Our transfers are competitively priced and do book up quickly so please email us at info@skiblanc.co.uk as soon as you can to reserve your place. Chambery airport - 1.15hrs to Meribel - A great little airport & the closest to Meribel, but flights more expensive. Geneva airport - 2hrs to Meribel - Geneva airport offers the most competitive & biggest choice of flights & best choice of transfers. Lyon St Exupery airport - 2hrs to Meribel - Competitive flights but transfers more expensive as less options. Grenoble airport - 2hrs to Meribel - Competitive flights and becoming more popular route so transfers available too, but transfers can be a little more expensive due to less transfer options. Please note transfers can take longer during high season dates because of increased traffic. Winter weather can also slow down transfers. We can also recommend the following dedicated transfer companies. MeribelTransfers is a small personal British transfer company run by Carl Vanhein and based locally in Les Allues. Carl has worked with us for many years and knows all our chalets well. He offers a professional and reliable service. Carl has 8, 12 and 16 seater minibuses. All our drivers have passed medical examinations to ensure safe travel for our clients. Snowbird transfers, run by Gavin and his team have over 10 years experience in the transfer industry, with an intimate knowledge of the airport routes. They offer a safe, reliable and friendly service & above all else, very professional. Based in Courchevel 1650. Snowbound - A friendly locally based company run by Roxanne & Phil Spence offering a very professional service at competitive rates. Dave @ Pleisure Holidays provides one of the Quickest And Most Affordable Transfer Service to Meribel. Shared & private transfers, prices from 40€ per person. Based in Courchevel Le Praz. Bens Bus - Low Cost ski transfers from Geneva airport and Lyon Airport to Meribel and from Grenoble Airport to Moutiers. Ben’s Bus runs shared transfers at the weekend from only £83pp return or £48pp one way, with discounts for children and groups. Places are limited so it is advised to book early. Mountain Express - An established Three Valleys based company offering excellent rates. The majority of their vehicles are 4x4 VW Caravelle minibuses with leather seats, passenger controlled air con & privacy glass. Based in St Martin de Belleville. Three Vallee Transfers are an established transfer company with a superb fleet of 4x4 VW Caravelle minibuses. Run by John Simcock and his friendly team. They offer both private and shared transfer service. If you are a small group of between 1-4, their Le Van Rouge shared transfers are a very good option in their 8 seater minibuses @ 65/70 Euros per person, one way. They offer Ski Blanc guests a 10% discount, please contact us for the discount code. La Tania based transfer company. T: + 44 (0) 1323 351964. Snowlinx Comfortable, affordable airport transfers from Geneva, Chambery, Grenoble, Lyon & Moutiers. Snowlinx offers Ski Blanc customers a 5% discount on their booking. Courchevel based transfer company, offering an extremely attentive and professional service. Whiterides Transfers offer a professional transfer service from all major airport to Meribel at very competitive prices. Snowbus's airport to resort transfer service ensures everyone can enjoy ski and snowboard holidays on a sensible budget. Choose from shared transfers with regular departures and low per person prices, or private transfers offering door-to-door convenience for your whole group. Prices start at £75pp for coach transfers from Geneva & Chambery. 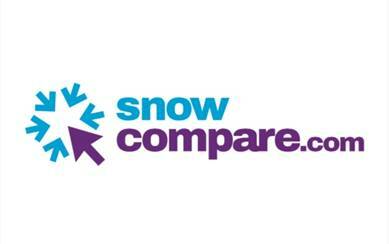 By bringing together the best local transfer companies on one website Snowcompare.com makes it easier than ever before to search, compare & book airport transfers to Meribel. Save time and find great deals on private and shared airport transfers by using Snowcompare to view the best travel options for Meribel. We are very happy to recommend www.findtransfers.com as this helps you get the best deal on private or shared airport transfers by sending you several no-obligation quotes from local airport transfer and taxi companies, It is a quick and easy to use and completely free of charge. The Coolbus provide transfers from all major airports & Moutiers train station to Meribel. Alpinecab Door to door transfers from Geneva to Meribel. A full time fleet of superb 5 - 22 seater alpine transfer vehicles. Book direct with Alpinecab and receive a 5% discount as a Ski Blanc customer.